Main page » Nameplates » Nameplate Vista / 50 Pcs. 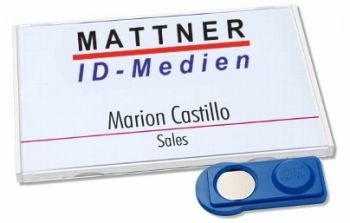 Nameplate Vista / 50 Pcs. Functional nameplate in the timeless, classical design. 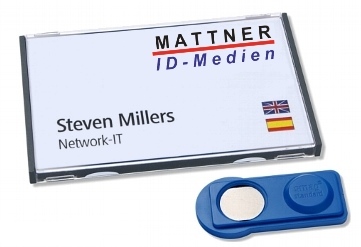 A highly transparent viewing window enclosing the label holder. The label holder is available in white or anthracite. Two sizes - 63 x 40 mm or 78 x 50 mm. As name cards printed cardboard signs are used in the size 60 x 37 mm or 75 x 47 mm. The label of the card can be done by the customer or by us as a service.